NEW YORK — Microsoft is releasing a $199 fitness band that also checks your email and even pays for coffee as the software company seeks to challenge Apple and others in the still-infant market for wearable devices. The Microsoft Band will work with the company’s new Microsoft Health system for consolidating health and fitness data from various gadgets and mobile apps. Unlike rival health systems, Microsoft Health will work with competing phones, not just those running Windows. The Oct. 30 release of the Microsoft Band comes months before the much-anticipated debut of Apple Watch. 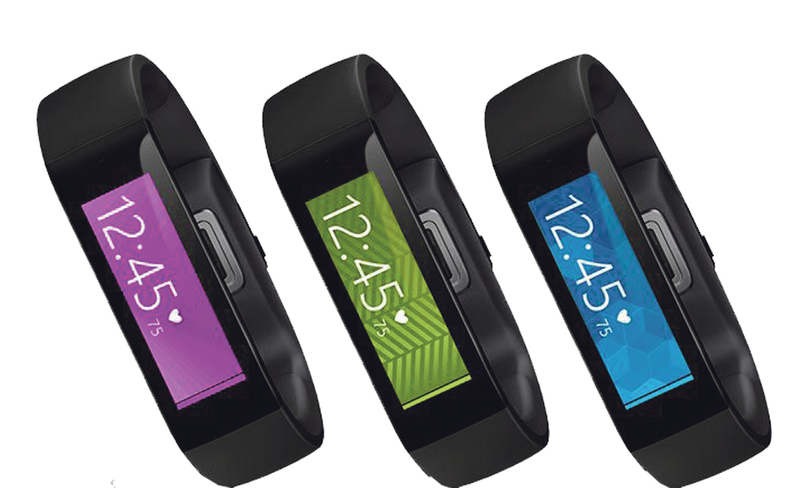 Microsoft’s gadget, however, appears more focused on fitness tracking and isn’t meant to be an all-purpose smartwatch. The Band will offer previews of incoming emails and alerts on calendar events, along with weather and other information requested through the company’s Cortana virtual assistant. Cortana requires a Windows phone nearby, but other features work with iPhones and Android phones, too. The Band will also have 10 tracking sensors, more than the typical fitness gadget, to monitor such things as heart rate, UV light, sleep and distance traveled. In a partnership with Starbucks, the Band will be able to create barcodes to make retail purchases through stored gift cards. The Band will serve as a showcase for Microsoft Health, which follows the launch of Apple’s HealthKit in September and Google Fit in late October. As more athletes and recreationists monitor and record their fitness activities, a chief frustration has been the inability to bring data from one gadget into an app made by a rival. As a result, nutrition information might reside in one place, while data on calories burned might be in another. Consolidating data — with users’ permission — gives individuals and health professionals a broader picture on health. For instance, Microsoft says having information in one place could help gauge whether eating breakfast improves running or whether the number of meetings during the day affects sleep quality. Microsoft Health marks the company’s latest push into mobile and Internet-based services as demand for its traditional software products declines. It’s particularly notable in embracing devices running Apple’s iOS and Google’s Android systems. In the past, Microsoft has been slow in making its services available for non-Windows systems.